ESPN is proactive when it comes to speculating or hyping on behalf of major sports leagues, but is predictably reactionary when it comes to disparaging them. Tim Kurkjian and Peter Gammons didn't say a word about steroids in baseball until after the saga unfolded. 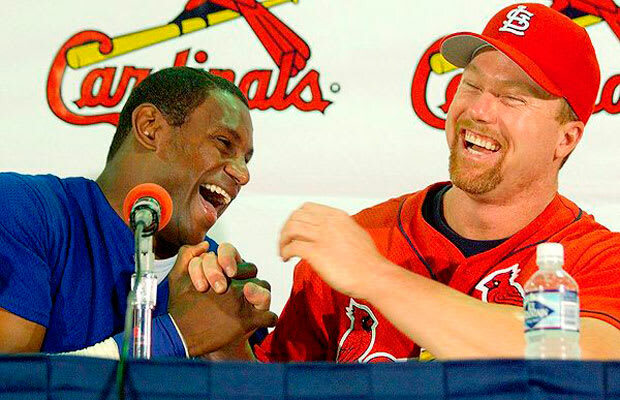 Sammy Sosa was more thoroughbred than man, Barry Bonds’ melon had tripled in size, and all ESPN did was stand by and celebrate the “return of baseball,” while a juiced-out Mark McGwire peppered hanging curve balls off of the St. Louis arch. As Barry Bonds came closer to the home run record, ESPN broadcast the disgraceful Bonds on Bonds a PR campaign reality TV series featuring the nuclear slugger. At one point a tearful Bonds says, "If it makes them happy to go out of their way to try to destroy me, go right ahead." Bonds' whimpering self-pity, presented to make the all-time home run leader look like a victim, simplified his being called to task for cheating. But it also proved how low the network was willing to sink in order to defend the glory of a major sports league.